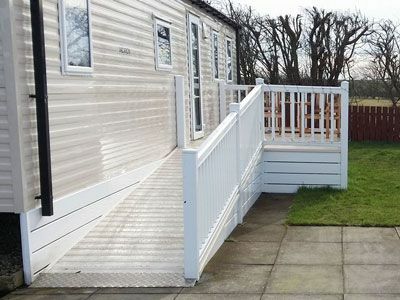 2014 Willerby Vacation situated on Woodlands with disabled access. Two minute walk to the splash zone leisure centre and short distance from the theme park. Caravan sleeps 6 in 3 bedrooms, 1 double and 2 twin. The twin bedrooms have plinth heaters whilst the main bedroom as a wall heater. It also as one shower room with WC and sink and an additional toilet and sink. The kitchen comes fully equipped. The lounge comes with a 32inch TV , DVD player and gas fire. Please note a £50 returnable bond is required and passes need to be bought on arrival. If you call please mention that you seen our caravan on Flamingoland Rentals.